squareventory.11, originally uploaded by artjunkgrl. 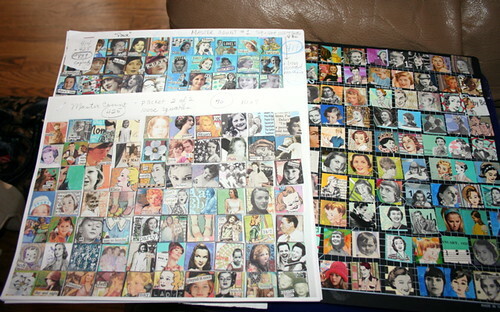 This photo displays my copied inventory of my collaged 1" squares. On the right are 75 new squares (waiting for finishing touches). I am now at a total of 914 uniquely made inchies. 86 to my goal of 1000 in 2007! 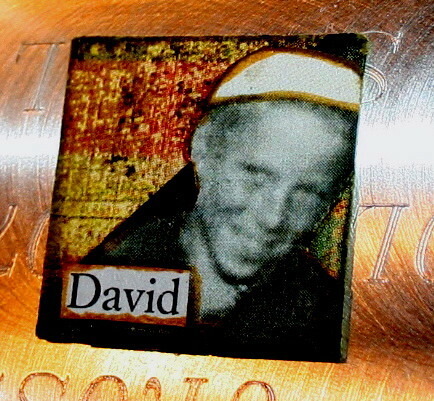 "David" collage inchie, originally uploaded by artjunkgrl. new squares ~ artjunkgrl, originally uploaded by artjunkgrl. 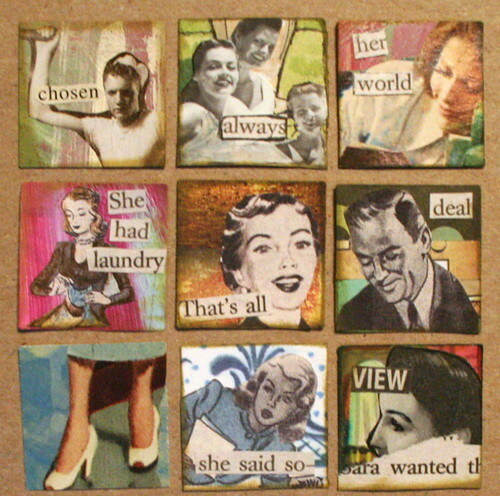 squarepeek2, originally uploaded by artjunkgrl. 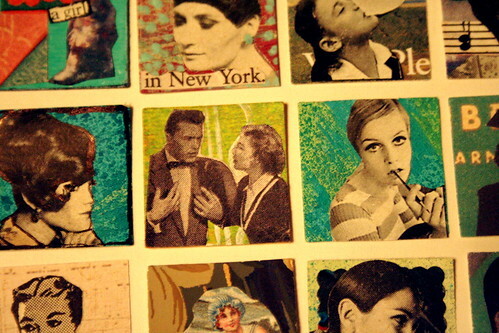 here's a little sneak peak from a new batch of 36 squares I worked on this week. I'm still putting on finishing touches....more coming soon...stay tuned!! l.